Android emulator is an application designed to install and use Android APKs (Applications/Games) on a computer. It does not replace your computers main operating system, but is installed as a program. You can read more about how to install Android APK. There are number of Android emulators for PC in the market, and all of them claim to bring the ultimate Android experience to the screen of your computer. Hence, it becomes hard for users to decide which emulator should be installed on their PCs. To help you decide the best Android emulator for your PC, we have compiled a list of five top Android emulators for Windows PC as well as Mac. Check out below. 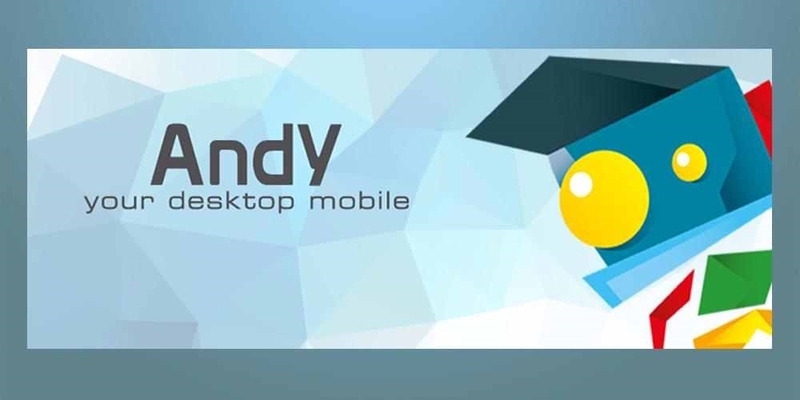 Andy is one of the most popular and best Android emulators. It is free and user friendly emulator, which is compatible with both Windows PC and Mac. Andy is different from other Android emulators as it allows you to use your smartphone as a controller. This feature is useful when playing games on your PC. The emulator also allows syncing of data between the smartphone and the computer. You can therefore easily use communication apps on the PC. AMIDuos is a relatively new Android emulator. There are two versions of the application; JellyBean and Lollipop. There are no major differences between the two versions apart from the price. Jelly Bean costs $10 while Lollipop costs $15. You need not worry much about the prices since they are one-time charges. Overall, AMIDuos will run Android apps on PC smoothly. It is ideal for gaming and productivity. Developers may have issues with the emulator since it does not allow device-specific configurations. BlueStacks Android emulator has smashed several awards. It is free to download for both Windows PC and Mac platforms. BlueStacks emulator is popular among gamers as it uses the dedicated graphics card on your computer to run games. It has a simple user interface that is identical to the Android interface on your smartphone. You can use the keyboard and mouse on the Android apps. Developers can use this BlueStacks Android emulator to test applications. GenyMotion is one other Android emulator for PC. GenyMotion users praise it for its fast speed. The software comes with amazing developer features. It allows testing and redeployment of Android apps. The emulator allows access to the webcam or laptop’s camera, which is very handy when running social media and communication apps. GenyMotion Android emulator is available for Windows, Linux, and Mac OS. YouWave is another one of the best Android emulator for PC that brings the Android experience to the screen of your computer. You can easily play Android games and use other Android apps on your PC. It also allows you to sync app data between your computer and smartphone. YouWave can be downloaded from the app’s official website. There is a free version as well as a paid version. The main problem with the free version is disturbing Ads. An Android emulator allows you to use Android apps on your computer. The big screen and the ability to use the keyboard on Android apps does stir some curiosity. Download any of the emulator mentioned above and have an Android experience on your PC. If you have other Android emulators on your mind, share in the comment box below. The post 5 Best Android Emulators for Windows PC and Mac  appeared first on MobiPicker.